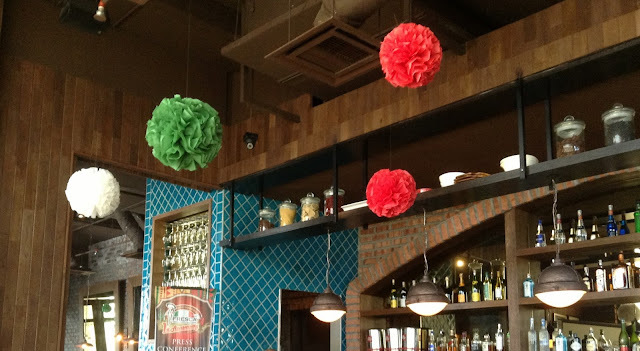 Colourful serapes, sombreros, paper marche balls and Mexican flags decked the rustic interior of Fresca Mexican Kitchen & Bar to mark the restaurant's 1st Anniversary celebrations on 11 May 2013. 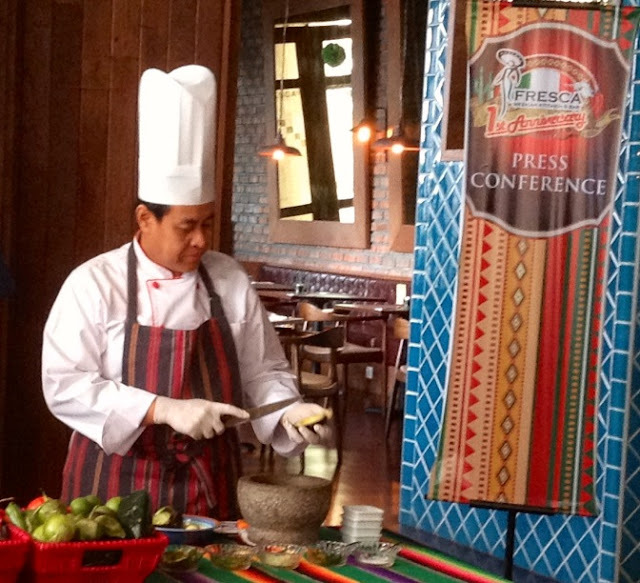 Local media members were treated to typical Mexican fare at the pre-celebratory bash after Mexican Deputy Head of Mission, Mrs. Lourdes Sosa Marquez (Charge d’Affaires, a.i.) spoke about the wondrous attractions, vibrant Mexican heritage and culture that await visitors. 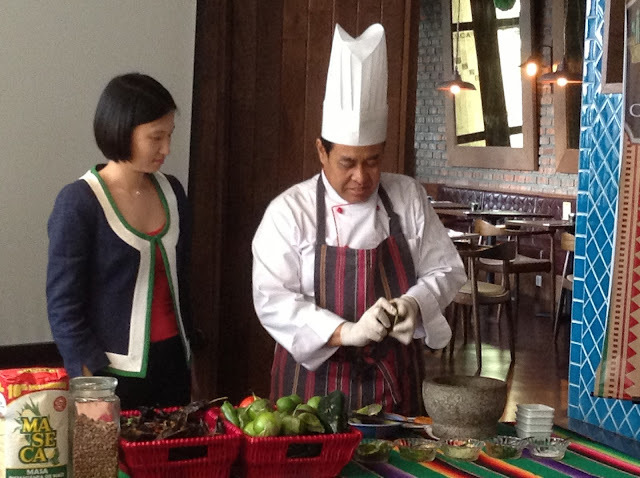 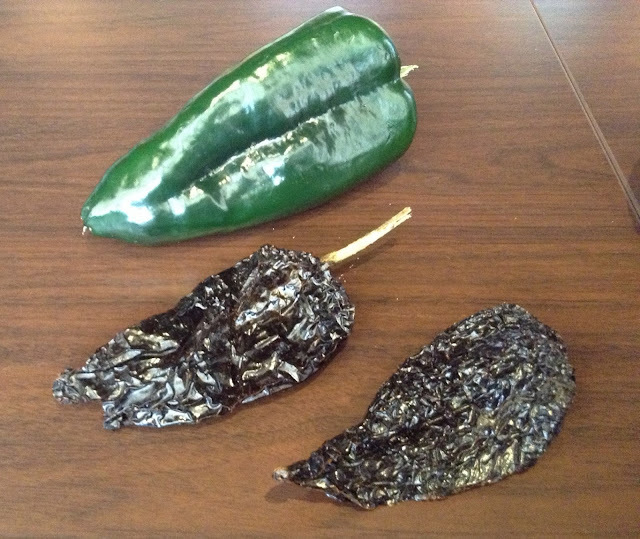 Executive Chef BB also demonstrated how to whip up a classic Guacamole while enterprising owner Jan Lim passed around ingredients fresh and dried chillies such as ancho, pasilla, poblanos and jalapenos, and tomatillo for us to take a closer look. 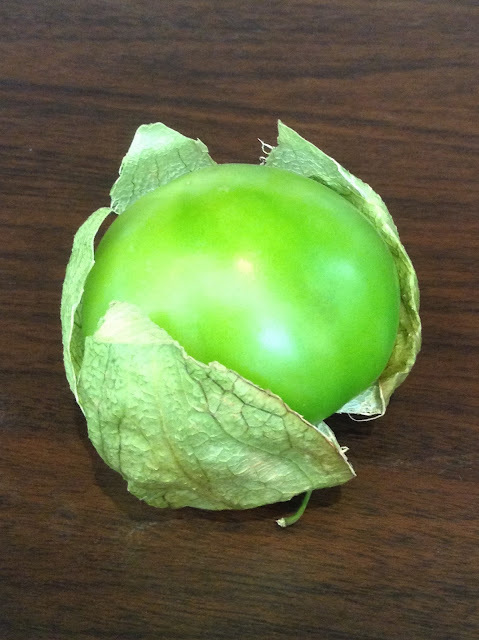 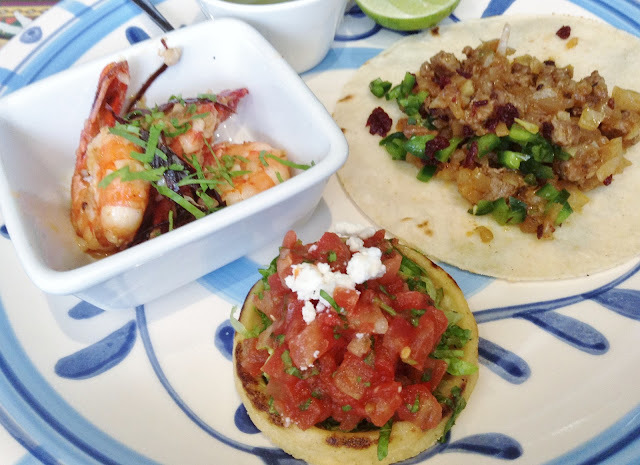 Tortilla chips with the chef's chunky Guacamole soon got us chomping at the bit for more. 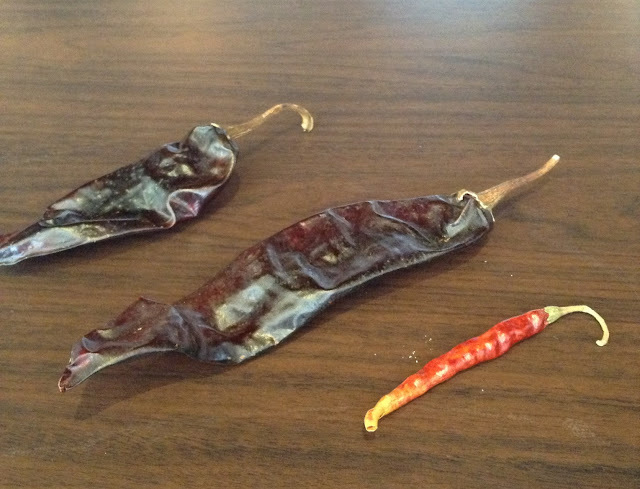 Interestingly, the chips were thinner and smoother than commercially produced ones and tasted way better. 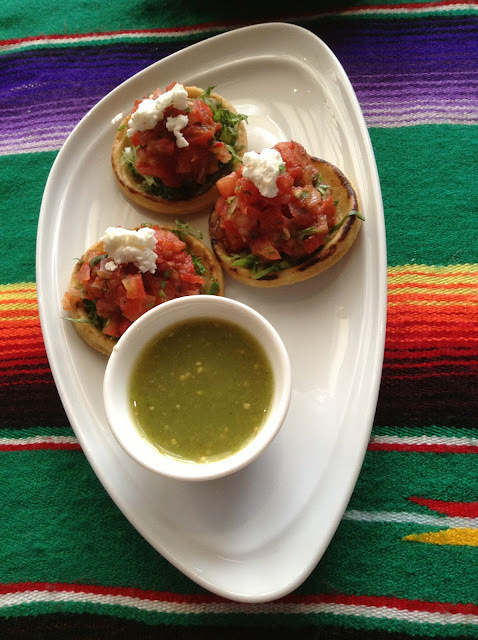 Especially when it's laden with the creamy avocado dip. 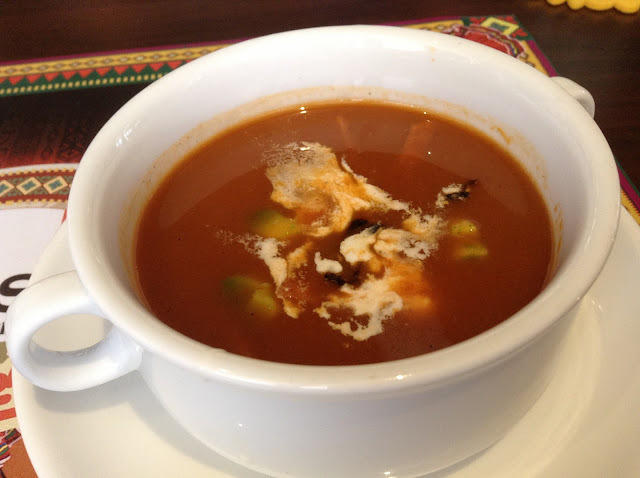 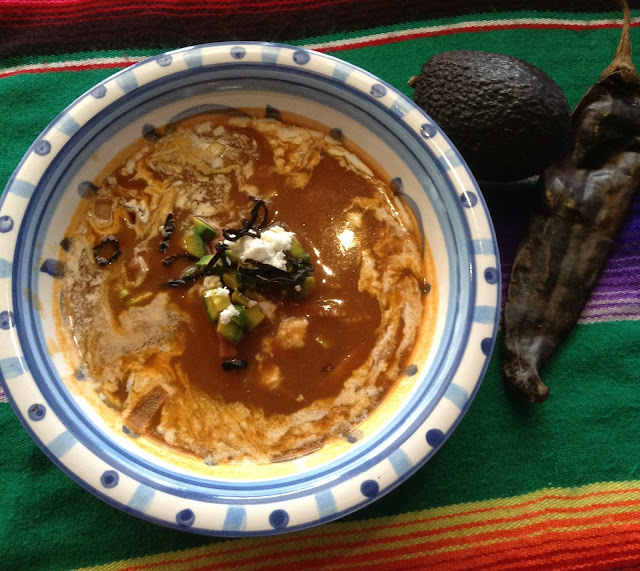 The sienna hued Sopa de Tortilla looked deceptively thick and unctuous but in reality was surprisingly light on the palate; its tanginess rounded off by a dollop of crumbly cheese that was added to it prior to serving. 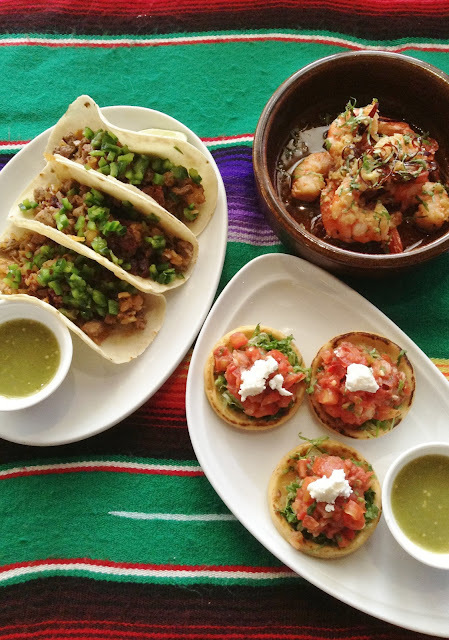 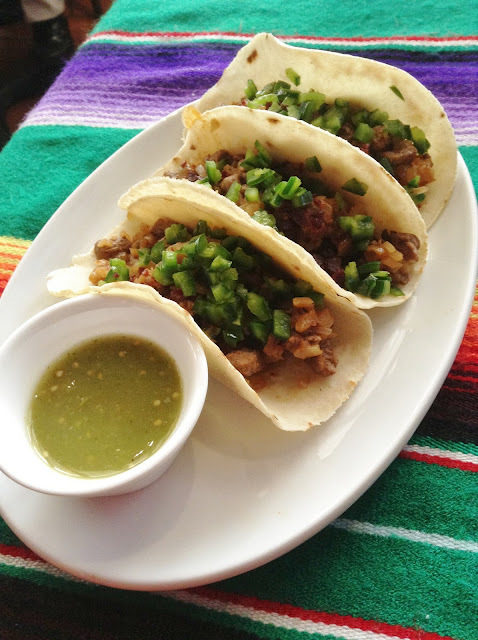 Then delectable servings of Tacos Alambre (warm, fluffy soft corn tortillas filled with grilled beef and poblano chilli) and Sopes de Frijol (Mexican street snack of corn flour pastry discs topped with tomato salsa) warmed our hearts and tummies. 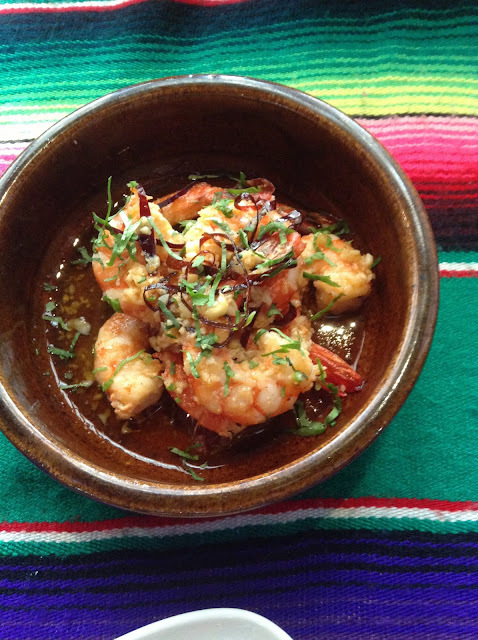 Camarones al Ajillo (tiger prawns with guajillo chilli and garlic) bestowed an unexpected albeit welcomed sweetness to these moreish bites. 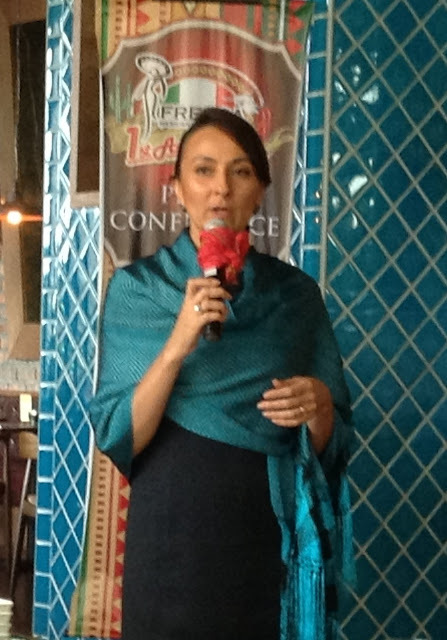 Representatives from the Mexican Embassy, members of the Latin American community and Fresca’s regular guests were invited to Fresca's fiesta-style party on the following night. 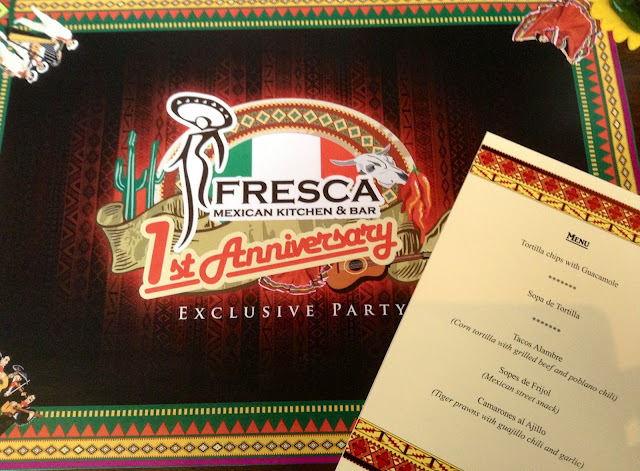 It was a befitting bash for Fresca; proof that Tex-Mex fajitas, quesadillas and burritos as well as more traditional Mexican delicacies such as ceviche, sopes and carne asada have a following in KL. The Fresca also rustles up some of the best margaritas in town, either frozen or on the rocks. 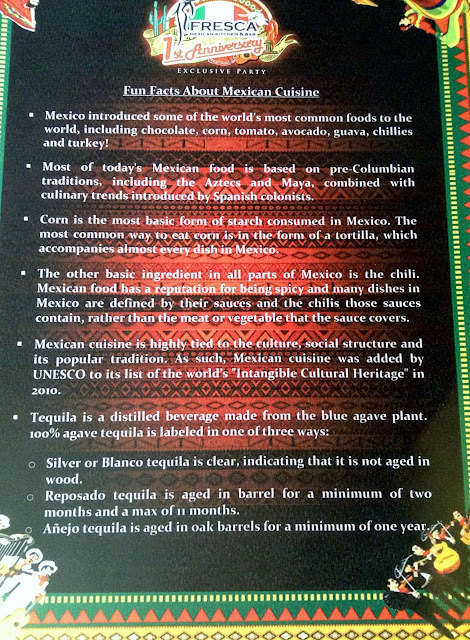 Classy cocktails - Fresca Colada and Cinco de Mayo, a drink named after the famous Mexican holiday, and non-alcoholic Mexican coolers known as “agua frescas” are equally popular among their patrons.